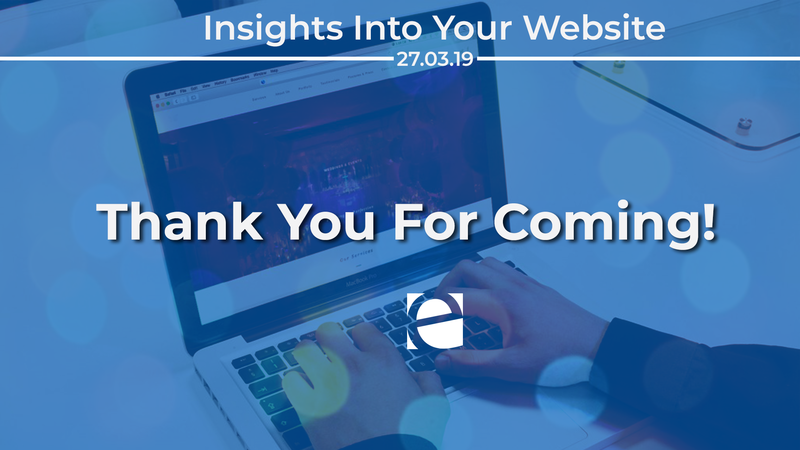 You Are Here > Blog > Insights Into Your Website March 2019 – Thank You For Coming! Today we held our first insights into your website event of 2019. Our insights into your website workshops are designed to give businesses an understanding of digital marketing as well as a detailed review of how their website is currently performing from an SEO perspective. We teach businesses how they can improve their websites performance organically in a search engine as well as through other digital marketing channels such as PPC (pay per click). All of the businesses that attended found the workshop very useful. We hold three ‘insights into your website’ SEO workshops throughout the year and the next workshop will be on Wednesday 17th June 2019. If you would like to book onto our next ‘insights into your website’, get in touch with us today via email or by calling us.